Made following manufacturing process swaging, we increase the tensile strength of the rod made from tungsten alloy. Through this process, the strength of the rod can be increase from 1050 Mpa to 1200 Mpa minimum and 1400 Mpa maximum. It's formula of composition is 93%WNiFe and is available in two different lengths. The tungsten alloy swaging rod is widely used in military and other fields for its hardness, high density, melting point, tensile strength, ductility, temperature resistance, etc. All the production processes, including mixing, pressing, sintering, heat treatment, swaging and machining, are carefully executed at our facility. 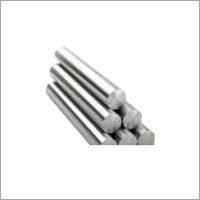 The clients can choose the right tungsten alloy swaging rod, by going through its areal density, tensile strength, elongation, hardness, impact toughness, and flexural strength.